The Jetman (untransformed) and their chief. This part mostly focuses on the story, it’s issues, and questions that the series leaves unanswered. I’ll get a bit into characters here however it’ll be about how the characters relate to the story and if they are necessary or not. Firstly, the pacing of the story is a bit awkward. The first episode was extremely quick paced. There’s very little build up to the introduction of the Jetman. One moment Ryu and Rie are saving someone. The next they’re being recruited to become Jetman. And the next they’re attacked by the Vyram and Rie “dies”. The Vyram attack comes out of nowhere. It takes a while to even understand why the Vyram are there and why they’re trying to destroy humanity. Eventually you figure out that they view humans as an inferior and unintelligent species and they take it upon themselves to exact some form of “divine justice” on humanity. First the Back Dimension Warriors, Ray, Kanna, and Dan. They’re rangers from an alternate dimension that the Vyram also attacked and destroyed. They come to the Earth to battle the Vyram with the technology they created (their own special suits and their mech called Jet Garuda). We only see one of them when they’re transformed and all of them die as quickly as they’re introduced. The only reason they were necessary was to introduce the Jet Garuda to the team. Unfortunately this could have been done without bringing in extra characters. Many of the inventions the Jetman use were created and/or by their chief and/or the Sky Force (for example, the Tetra Boy). Why couldn’t they work to create the Jet Garuda? Second are Lou and Duran. As useless as the Back Dimension Warriors were, Lou and Duran served absolutely no purpose. They were a couple from another alternate world conquered by the Vyram. Lou sought revenge on the Vyram for destroying her home, despite being warned not to seek revenge. Their relationship is supposed to mirror the one that Ryu and Rie had so their sole purpose was to ram into our heads yet again this relationship that Ryu had and was still seeking. Their introduction added nothing new to the series. 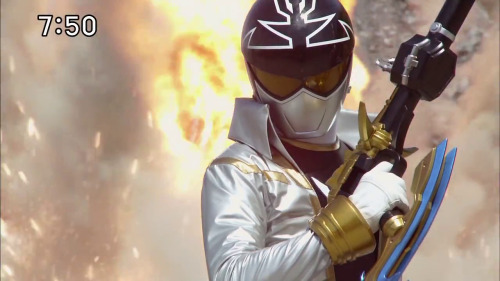 Third are the replacement rangers, the Neo Jetman. Out of nowhere, we’re told that there was an alternate Jetman program going on using trained soldiers instead of civilians. When the Jetman lose their powers, the Neo Jetman take their place for an episode. Until it’s revealed to them that their chief’s sole goal was to take control of their base and keep it for revenge, the Neo Jetman keep fighting for him even though they know that he views them as dispensable objects. While they served a purpose (they were introduced to give the regular Jetman back their powers), this is another situation that could’ve been solved by them creating new technology. You’d think that there would’ve have been another birdonic wave machine would have been created in case of an emergency, but I guess not. What was the purpose of Radiguet brainwashing Rie? We know that the Vyram hate humans. And Rie is human. While he finds out later on that Rie was Ryu/Red Hawk’s girlfriend, he did not have this information from the start. It makes sense that he would want to keep her away from Ryu when he knows what Rie means to him. That way Radiguet has some form of leverage over Ryu. But in the beginning it would’ve made more sense for him to have killed her or just left her to die. Why did a robot like Grey have human emotions? Out of all the Vyram, he had the most heart. He knew what it felt like to love. He was the most human of all of them, yet he was a robot. What happened to that girl Radiguet met when he became human? This is another story point that was extremely confusing. As punishment Radiguet was sent to live amongst humans. But once regaining the memory of who he really was, he changed back into himself. Was this plot point just more padding? It honestly could’ve made for a very good twist. Radiguet could’ve taken the memory of what it as like to be and feel human and this could’ve changed him for the better. But all it did was show the blatant hypocrisy of the Vyram. They call humans fools for not learning and advancing themselves, yet the Vyram do the exact same. There was no need for this scene. If Radiguet was going to remain a twisted individual until the end, this plot point added nothing to the story. Furthermore, what did he actually do to the woman? Did he kill her? Injure her? Use her as a tool for the Vyram? Why end the episode with such uncertainty? The sad thing is this episode had potential to be very interesting. This Vyram elite has become human and doesn’t remember his previous life as a Vyram. He’s behaving as a typical human would and he’s even having fun and getting along with other humans. This concept should have been pushed a little further than it was. What happened to Gai in the epilogue? Now the next episode of Gokaiger is the Jetman tribute episode and it features Gai/Black Condor. So Gai clearly didn’t die. But the finale of Jetman makes this very unclear. His apparent death mirrors the way that Grey dies an episode or two before. Hopefully this ending is cleared up in the Gokaiger’s tribute to Jetman. Still, it leaves the series on a confusing downer and makes the audience feel like they don’t have full closure. All in all, the series may not be perfect. There are a few plot holes ant twists that can leave you confused or want ing more. And there are many story points that should be elaborated. Many of the episodes are good stories on their own, but as a connected cohesive story, it can be disjointed at points. What this series does well is mix together drama and humor. The story is very dramatic and very focused on individual relationships, but when it calls for it, the story knows how to be silly and that quirky (if not a bit campy) humor shows through quite a bit. For all the faults the story has, it is a well put together series and worth checking out. 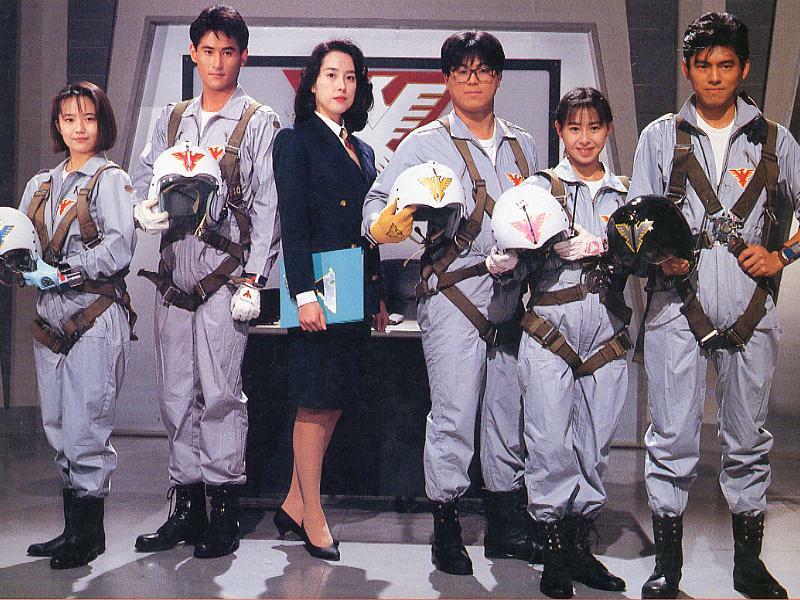 Admittedly the first thing that got me interested in Jetman were their outfits. As a visual person, I can be swayed to watch a series on the basis that I like the style or the costuming. Plus the bird motif caught my attention and when I found subtitles for it, I couldn’t resist watching it. 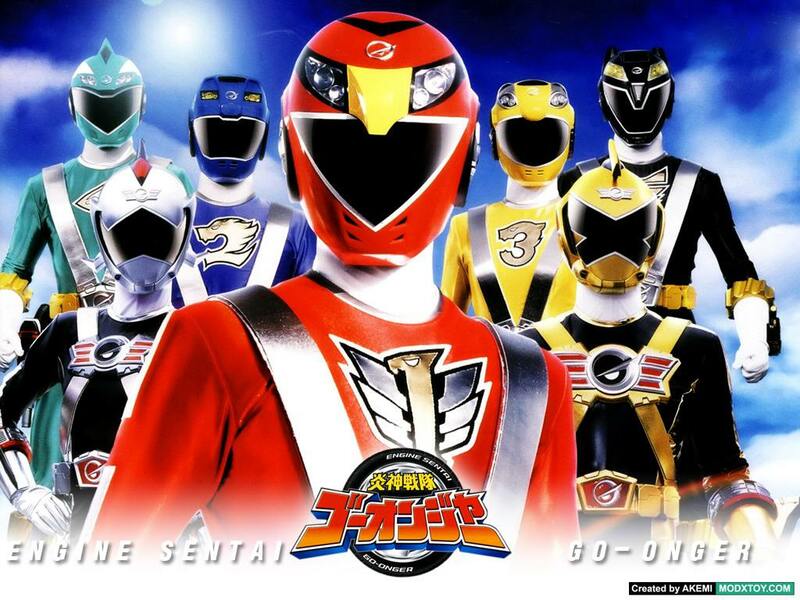 The series revolves around 5 ordinary people who through an accident caused by the Vyram (the antagonists) invading the Earth are imbued with extra-ordinary strength and abilities and become the Choujin Sentai (Birdman Squadron) Jetman. 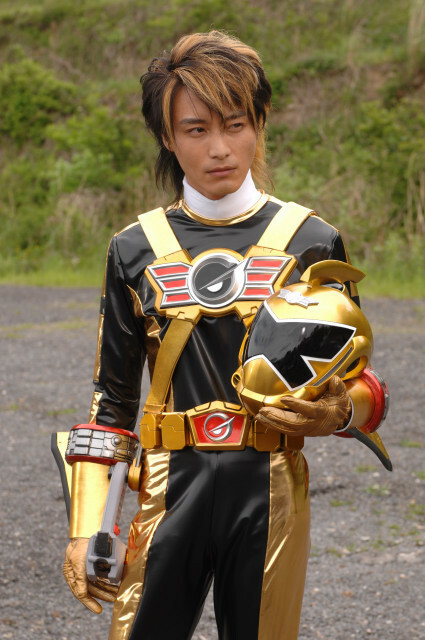 There’s Ryu, the sole member of Jetman who was actually a planned member due to his training. Ako, a loud-mouthed, opinionated high school girl. Gai, a womanizer who enjoys jazz, gambling, and drinking. Raita, a country boy who enjoys cultivating vegetables and dislikes violence. And Kaori, a woman raised with wealth but sought something more from life. Despite their different personalities and despite the issues they had as a team, they’re able to overcome their personal issues and protect the world from evil. A good chunk of Jetman reads like a drama series. And if you went into the series expecting it to be a typical action show, you might be disappointed with the level of drama presented. And sadly, most of the tension in the series is centered around the first relationship we’re introduced to. Two of the first characters we meet are Ryu and Rie and you learn fairly quickly that they’re an inseparable item. Until the Vyram attack the Earth Ship and Rie is tossed from it. Though distraught from the loss of his girlfriend, Ryu attempts to put aside his personal feelings in order to protect the world from the Vyram. Kaori fell in love with Ryu. To the point of obsession. She would do everything in her power to make Ryu love her but to no avail. Ryu’s desire to concentrate on his work as well as his undying devotion and love for Rie didn’t allow him to reciprocate her feelings. Gai was in love with Kaori. However Kaori didn’t reciprocate his feelings because she viewed him as abrasive and uncaring. From the audience’s point of view, Gai’s sole interest in Kaori is because of her looks and because she wasn’t in love with him. He wanted her because she didn’t want him and no woman has turned him down before. Gai becomes jealous of Ryu because he can get Kaori’s attention without trying. No matter what Gai does, Kaori doesn’t recognize him as a suitable boyfriend. Gai’s jealousy becomes a point of contingency for the team. Particularly towards the beginning, it greatly affected their performance in battle as Gai wasn’t going to take orders from a “goody-two shoes” like Ryu. Not to mention whenever Ryu upsets Kaori, Gai is quick to attack Ryu both physically and verbally. Knowing that Rie is “dead”, Kaori vows to erase Rie from Ryu’s heart (a rather cold hearted statement if you ask me). Once Ryu learns that Rie is still alive but being used and brainwashed by the Vyram, he vows to do everything in his power to save her. Learning that Rie is still alive completely screws with Ryu’s emotions. At times, he’s no longer the composed person that he is in the beginning of the series. The drama can be a bit much at times and goes to very petty levels. Most of the drama could easily be avoided if it weren’t for Kaori’s unwillingness to let go and Gai’s reckless personality. The only character who had decent reason to feel the way that he did was Ryu. He lost the love of his life so his heart isn’t open to another relationship. He never expressed interest in Kaori. All the interest was on her part. Thus the brunt of the drama comes from her and Gai. It’s sad really. Gai and Kaori’s relationship was doomed from the start anyways. For the most part, the drama was baseless. However there was one relationship where the drama added a necessary element to the series. And that was the relationship between Ryu and Rie once Rie became Maria. As I said earlier, Ryu always put aside his personal feelings for the good of his work and he advised that the other Jetman do the same. Once he learned that Rie was still alive, this changes. His personal feelings start to affect the way that he fights until a single point when all the emotion that he’s been burying deep inside himself wells up and causes him to fall into a deep depression and slight insanity. The backbone of the Jetman becomes a broken shell who only remains happy in his memories because there he could live forever with Rie. The Rie that he loved and not the brainwashed Maria. Drastic character changes in a short amount of time rarely work, especially when it’s trying to show character development. While it seems like his mental breakdown is sudden, there’s episodes of build up to it. Early on, the hint is dropped that Rie is still alive as Maria. We’re shown snippets of Ryu’s mindset when he recalls Rie’s “death” and also when he recalls all the good times they had together. We’re conditioned to understand that Rie is Ryu’s main weakness so seeing him fall into madness and depression can just be seen as the culmination of months and months of emotions that can no longer be repressed. Tran’s relationship with the other Vyram elite. As the youngest of the bunch, the rest don’t take him seriously and often openly mock and laugh at him much to his dismay. However he tries his best to prove his worth to the group until he changes to Tranza and forces the rest of them to acknowledge his power. Gai’s relationship with Ryu. Although his initial resentment towards Ryu was due to jealousy and dislike of working with a group (especially under someone he considered to be a goody-two shoes), by working together the two of them became best friends and are probably the closest of any of the Jetman. The development of their friendship was extremely slow which is a good thing. Many series (particularly short ones) rush important relationships. And especially in series where it’s important that the group works together. But despite the series being only 51 episodes long, they took a nice amount of time to develop the friendship. Radiguet’s relationship with any person who held more power than him. His drive for power filled consumed him. But he wasn’t the most powerful. Most others around him held more power than he did, but he couldn’t stand not being on top. And despite gaining the power than he initially sought, it wasn’t enough to keep him from losing (granted this is a type of show where the good guys always have to win in the end but still…). Grey’s relationship with Maria. Despite this falling under the realm of “romantic”, I consider this the romantic relationship done right. Also Maria didn’t reciprocate Grey’s feelings but I believe his feelings were subtle enough that she might not have known until later on that he loved her. Despite Grey being a robot, he had the most heart of any of the Vyram. Despite being a programmed warrior, he still had the ability to care and the ability to appreciate what’s beautiful in the world. Despite the Vyram hating humans, Grey fell in love with Maria and even after learning that she was human he still cared for her as she was. As much as he loved her, he always wanted the best for her. He’d rather her become human again rather than transform into a mindless beast. The relationship between Grey and Gai. Now admittedly this wasn’t a real “relationship” persay. Rather it was a subtle connection and understanding that these two characters had. Their personalities and passions mirrored each other. So what do I think of the relationships? Aside from the relationships between Ryu and Rie and Grey and Maria, the romance is bland and borders on unrealistic. Watching it, you get beat over the head so much with Ryu’s relationship with Rie that you can even get annoyed with that. However, watching the characters develop as individuals and watching their relationships as friends/co-workers/enemies/etc. change over time is wonderful. Most of the characters are well established and relatable and their growth over the course of the series is realistic. Most of the relationships were pushed as far as they could go. Though if there were any that I felt needed a little more meat behind them, it would have to be Tran’s relationship with the rest of the Vyram elite. While you understand that they treat him like a child, you’re only shown that in a few episodes. Otherwise he’s treated no different than the rest of them. But other than that, the characters and their relationships are well developed. That’s it for part one. Stick around for part two which will cover the story, a few other character details, and questions that were left unanswered. 1) Hiroto’s fear of ghosts. While it’s also explained why he has this fear you never expect this sort of reaction from him. From the moment you’re introduced to Hiroto, he’s always been cool, level-headed, and a bit of a self-righeous snob. He’s a rich kid. It comes with the territory. You get a few moments here and there where once he’s used to being around the Go-Ongers he loosens up and can have a bit of fun like they do. But he still retains that level-headed coolness that he has for most of the series. But then you get this one gem of a reaction from him. A reaction so glorious that I just had to replay it a few times over just to make sure I wasn’t imagining this. Sure. There’s a few other moments in the series where he has over the top reactions. The other that comes to mind is the episode in which he sings to a creature and when it turns out the creature considered his singing just noise, he ends up wallowing in his own sorrow and hanging his head in defeat. Or the moment where an other worldly creature mistakes him for its mother and Hiroto has to pretend to be a mother to this creature. No, no…those pail in comparison to his phobia of ghosts. We only find this out because he and Saki are transported to some dark, scary place thanks to Cleaning Minister, Kireizuki. When trying to find their way out they’re confronted by what Hiroto believes are ghosts. Even Saki is taken back by this grown man with a cool level-headed temperament turning into a scared little boy, screaming and hiding behind a tombstone in a fetal position. The only thing missing that would’ve made that scene complete would be him sucking his thumb. I guess even the coolest of people have to be scared by something. Too bad these “ghosts” were just actors in a haunted house in an amusement park. 2) Random amounts of male cross dressing. This just started off as a quick gimmick. Hanto is trying to help out an old woman who helped him out when he was injured. She’s all alone and the only one that she used to have in her life previously was her granddaughter but she says that her granddaughter is dead. So being the nice kid that he is, Hanto decides that he’ll play the role of this woman’s granddaughter for the day. Though in order to really get into the role he decides that it’s a good idea to dress up as her as well. Turns out that Hanto looks “cute” in womens clothing so this tends to be a running gag in future episodes. In the short lessons after each episode, you find out (though most likely it’s a joke…would be better if it wasn’t), that Hanto’s favorite job was working as a maid in a maid cafe. The other guys get their turn at cross dressing as well. In episode 38, the men are all frozen due to Shower Banki’s acid rain and it’s up to the women to both protect them and defeat the Bankijuu. The only way they could think to hide them was to hide them as mannequins in a store window…unfortunately for the men the mannequins were women. Needless to say when they transformed out of their ranger forms, they received quite a surprise. If you’re not amused by cross dressing though, you won’t find this as funny though. 3) This one’s episode specific but have you ever just wanted to see the heroes in a show just go evil for no reason? And I don’t mean world class super villain status evil like you see in other super hero shows or comic. I just mean “here’s a good guy…let’s corrupt him so he’s your everyday criminal” sort of evil. That’s pretty much what episode 30. While trying to figure out what this liquid is that Straw Banki dropped, Sousuke and Ren end up spraying themselves with the chemical. Well since this was a concoction created to raise the strength of an evil creature, somehow it…turns Sousuke and Ren into…semi-old timey gangsters. I didn’t need to try to figure it out why they needed to be old timey criminals. No one does really. Sousuke’s full of justice and excitement and Ren is a very motherly, gentle sort of man. Watching them go from that to these sneaky, conniving, low lives is just plain fun. Instead of protecting people they’re scamming them out of money, robbing banks, stealing from children, fighting Hiroto and somehow winning when there was no chance that he would’ve every beaten Hiroto in a fight previously. Ren gets snapped out of it fairly quickly but it takes a lot more to bring Sousuke back to normal. There’s a lot more randomness to the series but to break out of that vein there’s at least one more thing that needs to go under this section and that’s the music. Specifically the opening theme. It’s really all you need in a song. It’s catchy, fun, and reflects the spirit of the show very well. Hiramekimedes. Here’s a villain that I wish we saw more of. He’s introduced as the Vice Minister of Earth Pollution and when you first meet him, he’s threatening. I mean, he’s definitely a force to be reckoned with. So much so that it was his introduction that spurred the introduction of the Go-On Wings. Without the Go-On Wings, the Go-Ongers literally had no way they could over power him. Even his back story is interesting. He was just another one of the Gaiark who believed that he wasn’t of any really importance and he believed that no one recognized him as important. So in order to prove his worth, he was planning on killing Yogostein. When Yogostein instead approaches him to be the Vice Minister of Earth Pollution and presents Hiramekimedes with a protractor based sword. He then decides to dedicate his life to serving Yogostein. When Hiramekimedes is introduced he’s seen overpowering the Go-Ongers based on his speed and tactical genius. Even the engines are frightened of him and initially do not want to fight him. With the introduction of the Go-On Wings, you can see Hiramekimedes become more and more frustrated with his plans failing. Every time a flash comes to him, the Go-Ongers and Go-On Wings end up foiling his plans. While Yogostein still believes in him, Hiramekimedes believes there’s no other way around it other than to fight power with power. His cunning and brilliance wasn’t working so he decides to fill his body with enough Bikkurium for 100 Bankijuu and becomes Detaramedes. His mind is destroyed in the process but his strength is nearly unmatched and his fighting style becomes completely random and unreadable. The only reason I just consider Hiramekimedes “good” and not “great” is because of Urameshimedes. This was a completely unneeded episode after Detaramedes is destroyed where Hiramekimedes comes back in a ghostly form. While the episode is charming in one way, Hiramekimedes had no purpose of being there. He does nothing, the battle was quick and easy, and in the end he’s just destroyed again. They should’ve just let him go out on a high note. The Go-On Wings. Admittedly I really dislike the way these two were introduced. It was almost like they were haphazardly thrown into an episode because they needed a way to save the Go-Ongers from Hiramekimedes. And I really disliked their personalities in the beginning. Here are these two people who come out of absolutely nowhere and it turns out they have their own engine partners who are equally as stuck-up as they are. They’re rude, disrespect the Go-Ongers on multiple occasions, and treat the Go-Ongers worse than dirt. Yet they believe they’re the only people in the world qualified to be heroes. While Hiroto and Miu are complete jerks when you meet them, their characters grow quite a bit as they learn more from Master Jumbowhale and about the Go-Ongers. They begin to realize that their way of life isn’t the only path to happiness, that there’s more than one way to be a hero, and that sometimes passion is all that’s necessary to fulfill your destiny. In a way, these two characters develop more over the course of the series than the actual Go-Ongers. Not to mention they also follow the cliche of the “6th ranger”. 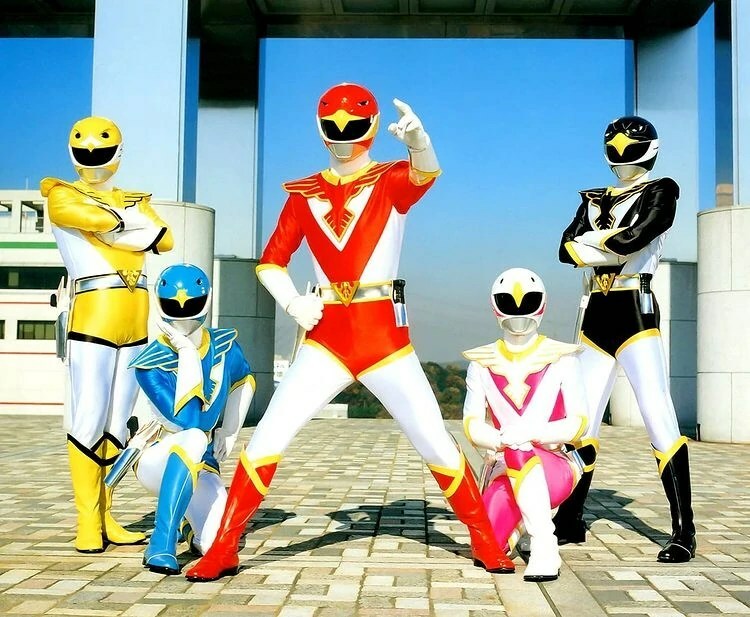 Although in the case of the Wings, they’re the 6th and 7th rangers respectively. They have the better outfits, the better abilities, and Jetras an Toripter are amazing partners. In fact, we were introduced to those two before we’d ever meet the Go-On Wings. That was a smart choice. It leaves the audience curious about who these flying engines are and who their partners were (because we clearly knew they had partners…if all the other engines had partners there’s no way these two were going to be any different). The environmental message. I know. I already covered this in the Hyakkujuu Sentai Gaoranger review (linked above). So I won’t repeat myself. I do have to say this about it. You’re only getting bombarded with the concept of polluting the Earth from the Gaiark. There’s literally a Minister of Earth Pollution. If that isn’t spelling it out for you I don’t know what is. Their only duty is to pollute the world so the Gaiark can inhabit it because apparently they don’t like anything to be clean, clear, fresh, or beautiful. What’s beautiful to them is a dirtied world. What makes this environmental message so conflicting at time is that the focus of the series are engine partners. Sure they’re engines that are mixed with animals but they’re more engine than anything else. And just so you don’t forget that most of their names are combination for what they are (Buson equals “bus” and “lion”; Birca equals “bike” and “orca”; Bear RV equals…”bear” and “RV”). It’s a little bit odd to use the engines as a focal point of a series when the message is clearly and environmental one. Why use something that people consider detrimental to the environment as the thing that’s suppose to help protect the environment? It really doesn’t make sense. I suppose that’s why we have a moment where we’re told that the engine partners run on clean energy. I’m sure someone else in the world questioned that logic too. Kegareshia and Kiteneidas. It’s a shame. These two, especially Kegareshia, had something going for them. Unfortunately they were mostly used for comic relief. You rarely see them fight or see what their abilities are but these two are supposed to be the Water and Air Pollution ministers respectively. All you really see them do is create Bankijuu to do their bidding. Whereas Yogostein really went out their and battled the Go-Ongers, these two just created minions to do all the work for them. And then at the end of the series when Yogostein’s father, Yogoshimacritein, takes over, they suddenly have a change of heart from being used a shields and controlled. They decide to help out the Go-Ongers. 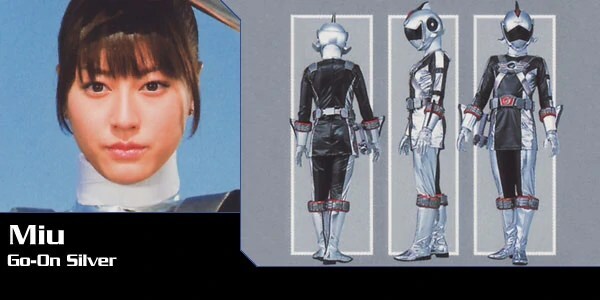 While the idea of the bad guys turning good is a staple in many sentai series, you usually see the character develop a bit beforehand. You know…regretting their actions, thinking things through, wanting to make things right…stuff like that. This was just a spur of the moment action. There’s nothing hinting at the possibility that Kegareshia and Kiteneidas might turn good and help the Go-Ongers. They just do. While I like Kegareshia as a member of G3 Princess (the “idol” unit created by Miu, Saki, and Kegareshia in episode 31), this is about the only interesting thing she ever does. Last but not least, the usage of various universes. We’re told that there are 11 different worlds out there but we’re really only introduced to 5 of them. Human World is clearly the universe that most of the show takes place in. Junk World is where the Gaiark are from. And Machine World is where the Engines are from. These are the only…the only…worlds that needed to every be brought up. But they had to bring up more and these just get stupid. First of the ridiculous worlds we’re introduced to is Samurai World which is just like the Human World except it’s in a constant Edo Period state. While it would be nice if this were just left to the movie…it isn’t. The movies in the sentai world seem to be canon and so Samurai World is brought up various times throughout the show after the movie takes place. The second ridiculous world we’re introduced to is Christmas World. This world literally only exists for the Christmas special but it was used once again in the Go-On/Shinken crossover. Now this was difficult. I didn’t find anything that was glaringly wrong with the show. What’s bad is bad, but it isn’t horrible. The only thing that really confuses me is the decision to make the mechs a mix of animal and machine. This is never explained but it’s just accepted. The world they’re from is called Machine World so it’s expected that they would be machines. Usually when sentai series create mechs, they relate to the series in some way. Abaranger was about dinosaurs so their mechs were dinosaurs. Gekiranger involved using kenpo that mimicked the movement of animals so their mechs were their specific animal spirits. So why were these guys part animal? Is it only to play to the environmental issues? Most of them don’t even use abilities that their animals would use. We all thought that Speedor could fly but apparently it was only jumping (even though he’s a condor). Bear RV bites things but most animals bite things so that’s not bear specific. The only one that seems to behave in a manner similar to its animal counterpart is Gunpherd and that’s only rarely. Really the only time was when he needed to do a bit of scent tracking and since he’s a police dog (German Shepherd…no he’s not a wolf. His name is Gunpherd for goodness sake. He’s a police car and a shepherd dog) that’s what they do. They don’t even make animals sounds. Their speaking mannerisms consist of saying parts of their name at the end of sentences. So why make them animals if you weren’t going to play to the fact that they’re also animals? Not quite a 4 but almost there. What can I say. The series is fun and funny with a fairly consistent story all the way through. It has a couple of issues here and there and really you don’t think too much about the engines being part animal because that’s something that you get used to from episode one. If you like cars and animals and insanity (or if you just like insanity) then Go-Onger’s a good series for you. If not then…I say you’re missing out on some really funny stuff. After being introduced to Super Sentai through Kaizoku Sentai Gokaiger, Gaoranger was the first finished series I started watching. In all honesty it was because their “Zords” were animals and they themselves fought like animals at times. Don’t judge me because I’m easily amused! Eh…umm…anyways. I was curious and it seemed like a decent starting point. The series has a decently strong start with GaoWhite, Blue, Black, and Yellow fighting off two Duke Orgs (Yabaiba and TsueTsue) and due to their lack of a fifth member (which can possibly be construed as a lack of strength between the four of them) the Duke Orgs escape. And then you get introduced to Dr. Kakeru. A veterinarian with a strong passion for protecting and helping animals. If you really couldn’t tell by this point, this is the guy who’s going to end up being the leader of the Gaorangers. And so with that little bit of an introduction to the series, let’s go through the great, the good, the bad, and the ugly. The characters, or most of them anyways. I’ll get into that a little bit later. For the most part the series created very likable and characters on both the heroes end and the villains end. And you could relate to a few of them as well. For example, Yabaiba and TsueTsue. Just imagine a time in your life where you would do anything to help the people you revered. And you tried your hardest to please them but they were never satisfied with your efforts. But they realize they could use you for as much as they wanted to because you were always going to obey. Okay, so scenario’s like that are a rarity in real life (and will mostly be found in “romantic” relationships), but we’ve all had moments where we felt a little like that. That’s Yabaiba and TsueTsue in a nutshell. While they’re a step above regular orgs and regular orgs revere them, they’re nothing compared to Highness Dukes or the Org Master. But on the heroes end you have characters like GaoWhite who’s under parental pressure to prove that she can do what she says that she wishes to do. Or GaoBlue who feels he has something to prove due to being the youngest member of the group. He just wishes to not be treated like a child when he’s doing the same line of work the rest of them are. Speaking of orgs…Karaoke Org and Animal Tamer Org. These have to be my all time favorite moments from the series due to sheer stupidity and insanity. Firstly, Karaoke Org. It’s ability was to steal the ability of speech from humans so it was “cleverly” disguised as a karaoke machine. When the signal rang for them to go fight all they find are terrified humans stripped of their ability to speak. So instead of speaking…they meow. That’s right. They all sound like cats for some weird reason. Because obviously if humans were stripped of our ability to speak, cat noises would be the only thing we can make. This is clearly the point where the episode loses the last bit of logic it ever had. 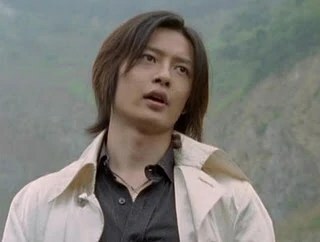 Unable to understand what the people are saying, somehow GaoRed mystically knows because you know…he’s a veterinarian. And they all go off to the karaoke parlor where this incident happened. You’d think that they’d be smart enough not to actually play karaoke but because they wanted to for a few episodes now, they decide to party it up in the middle of needing to defeat an org and clearly they’re all robbed of their ability to speak to. All except one because they weren’t nice enough to invite GaoSilver to their karaoke party which in this case is a good thing. So now all the Gaorangers can do is meow and since they can only meow, they can’t transform. It’s just amazing to hear them try to say “Gao Access” and “Nya Access” is what’s said instead…though if they lost the ability to speak, how could they even say “access”? I’m not going to think about it too hard. It’s not worth it. As for Animal Tamer Org, it’s very clear what this org does. All I could sit there and do was beg the computer screen to let him “tame” the Gaorangers (since they tend to behave and fight as their respective animals at times). And that wish was granted. GaoWhite attempts to fight this org but with the crack of a whip she’s sent jumping through a hoop like a circus tiger, lands at his feet while he pets her and she purrs. He even gets the rest of them to sit on command. That was much better than I thought it would be. I don’t only like moments for its insanity. But there’s a great heartwarming episode with Charcoal Grill Org, an org who found no pleasure through destruction and instead found this happiness through cooking for humans. He ends up disguising himself and living out his life as a human who runs a food cart. He’s happy just knowing that others are happy eating his food. GaoBlack and Yellow end up being the ones to stand up for him when the rest of the Gaorangers want him dead. But he’s being hunted out by the Duke Orgs as well so he can serve Rasetsu (one of the Highness Dukes). Eventually Rasetsu just finds Charcoal Grill Org to be a traitor and kills him. But TsueTsue, revives him, changing him into a giant. The Gaorangers have no choice but to kill him. Though for some reason he’s still alive at the end of the episode. This is never explained and really it doesn’t matter too much. It was just cute and refreshing to see that not all orgs are evil. While it’s a part of their nature to want to be violent, they can find other ways to achieve happiness as well. GaoSilver. 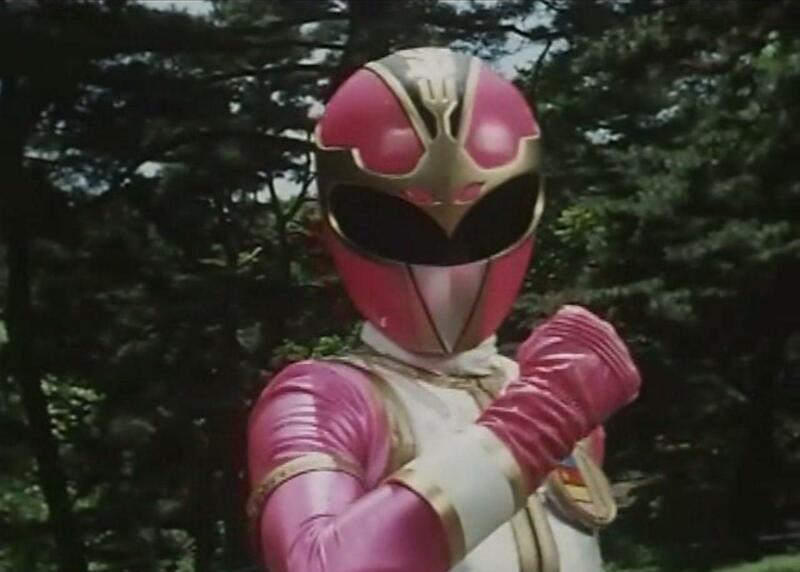 I’m prone to liking the sixth ranger. They usually have the better abilities, the better outfit, the better weapons, and the better looking mechs. GaoSilver is no exception. His outfit looks great, especially compared to the rest of the Gaorangers. He’s got his partner, GaoWolf, who can turn into a motorcycle for quick transportation. Sure beats flying or running around on all fours (or in the case of GaoBlue…swimming through the air?) to get where you need to go. And his partners are pretty awesome (GaoWolf, GaoHammerhead, and GaoLigator). And they’re more awesome when they form GaoHunter Justice. Not to mention his introduction is pretty wicked. While trying to defeat a powerful org in the past, he donned the mask of a great evil named Loki. He was able to win but at the price of being transformed into a wolf-like org. So he was sealed away until the orgs of the present revived him. However I can’t consider him “great” for one reason. His character just barely grew since he was introduced. He’s just another “emo” character. He plays into the stereotype of the “lone wolf” which I guess is supposed to be cute considering his spirit animal is a wolf. It really isn’t. He constantly rejects the company of others while also being angry or envious that they can have fun without him (check episode 25 with Karaoke Org). Considering he’s over 1000 years old at this point, you’d think he’d want to hang around people who are familiar with the present time so he isn’t overwhelmed by everything. But for some reason he seems to take everything rather well. All in all I can forgive his emo-ness because he feels he has to pay a debt to the Gaorangers for putting them through so much trouble while he was possessed by Loki. I just wish he’d listen to them more because they already forgave him. The theme song. Okay, someone’s probably going to disagree with me on this. Because even I have to say that it’s…really not that great of a song. Really by just knowing the words “Gao” “Rao” “Ugua” and “Hyakkujuu Sentai Gaoranger” you know about half the song. But it’s one of those songs that if you listen to it long enough you’re just going to end up loving it. That or hating it even more. But I ended up getting the song stuck in my head enough times that I started to like it. Definitely not one of the best or one of my favorite sentai openings. But it’s not one you’re going to easily forget. It’s just…catchy. And it works for the series. That’s a difficult one to explain but the feel of the song just works for the series. The clear environmental agenda. This isn’t the only sentai series guilty of this (here’s looking at you Engine Sentai Go-Onger). But this one was just blatantly obvious. The Gaorangers, whose duty it is to protect the earth, use the powers of the GaoAnimals (which can be construed as spirit animals) to protect the world from beings who want to dirty it and make it a place that’s only inhabitable for them. Not just destroy the world for the sake of destruction like most villians, but destroying it so it becomes a paradise for orgs. There’s even a few times where that’s blatantly spelled out for you. Not to mention that orgs are created from discarded items (AKA trash). I don’t mind an agenda in shows. It’s rare when shows (specifically reality or live action series) don’t have one. But the environmental agenda is one that’s overplayed. Everyone believes they have to keep reminding people that we can’t keep polluting the earth. We get it. Pollution is bad. Destroying the environment is bad. We know. We all know. We don’t need to be told this over and over and over again. Conservation is a great message but don’t people know how to be subtle anymore? The only time I really found humor in this situation was when there was a copycat GaoWhite and they had to try to figure out which one was the real GaoWhite. GaoRed makes his decision based on the fact that the fake was standing on a flower and the real GaoWhite would try to protect nature, not destroy it. It turns out even the real GaoWhite was standing on a flower. Stuff like that happens in reality. We walk on grass, accidentally drop papers without realizing it, spill something, drive cars, run factories…we’re only human. We don’t try to destroy the world. We just do what we do because it’s our method of survival. If you all who agree with such drastic and overblown conservation messages have a solution that doesn’t involve the eventual destruction of humans, please let the world know. I’m sure we’re dying to know. The death and resurrection of 4 of the 6 Gaorangers. My first thought behind this was “Oh, cool! We’re not going to pretend like these guys don’t get drastically injured during battle!” because only being used to Power Rangers all I could remember were that characters could get kicked and swiped with swords and all you’d see were sparks flying off the costumes. Not a hint of blood or scratches could be found. But here, main characters died. That was cool. But I wanted to know how they were going to come back. Because clearly the rest of them were going to be present in the series…And of course their revival was due to…wait a falcon? Really…a falcon? Yes, not only do they not actually use a phoenix (as this would make too much sense), but they use a GaoAnimal by the name of GaoFalcon as a catalyst for bringing the four rangers back to life. And what’s sad is that GaoFalcon is clearly a phoenix. It resides in a volcano for goodness sake! But that’s not my really beef with this scenario. No, that comes in with the duty they have to perform in order to help GaoRed from the afterlife. 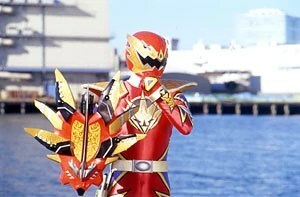 Their task is they have to sacrifice themselves in order for GaoRed to obtain this new power. They have to retrieve some…puzzle pieces…and put together a puzzle that would awaken GaoFalcon. In doing so they technically threw themselves into a pit of lava but, hey…we can ignore logic right? So apparently putting this puzzle together not only awakened GaoFalcon but it revived the rest of them. So why didn’t we call it GaoPhoenix instead? Okay…so my beef here is that they didn’t call it a phoenix. But don’t you think that this revival scenario would make more sense if you actually used a creature that was known for it’s ability to revive from the dead rather than an actual animal that can’t do that at all? The ending. The entire two episodes of the series ending. You’d think that a show about a task force created to protect the world from evil would feature that task force protecting the world from evil. But you’d be wrong. The Gaorangers did absolutely nothing! They didn’t transform, regain their abilities or anything. First, the Animarium gets destroyed and all the GaoAnimals residing up there get killed. So with their respective spirit animals dead, they’re left unable to transform. But they escape back to Earth anyways because they have to try to do something I suppose. By time they get there, the world is dark and being tormented by the reincarnated and combined form of the 3 Highness Duke orgs. They can’t fight it. But through the Yugioh like power of friendship, they’re mystically able to call upon the rest of the 100 GaoAnimals living on Earth as well as revive the dead GaoAnimals and GaoGod. What!? Now if the power of friendship/kindness/courage was shown to have this sort of ability in the beginning of the series, perhaps I might buy it. Perhaps. But the way this was done was a giant deus ex machina. Not only do the Gaorangers do literally nothing to save the earth, but then we’re introduced to all these GaoAnimals that we never previously knew existed. Sure you could say the title of the series hints at it (as the translation of it is “Hundred Beast Task Force GaoRanger”). But still you should point out at the least that there are more GaoAnimals on Earth that haven’t been uncovered yet. Not only do they not do this ever, but they just introduce all of them at once in this battle between all the GaoAnimals and this ultimate org. Plus how do the dead GaoAnimals get revived anyways? This question is never answered. The ending of this series is just going to leave you wanting more and will probably leave you with more questions than answers. The story and characters keep you interested long enough that you want to finish the series. But points definitely fall after the character revival episode and most definitely after finishing the series. But it gains points for making you really care for the characters, and especially making you care for some of the villains. But I have to say if I’m going to take a series that is overblown with environmental messages, I’ll take Go-Onger over this any day. At least it had a consistent story throughout.